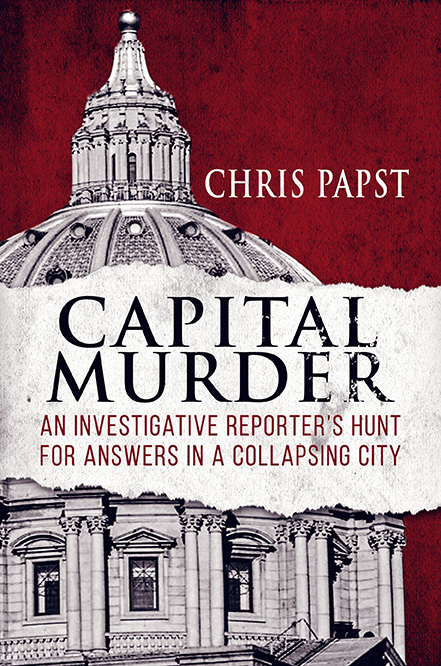 HARRISBURG, Pa. — Sunbury Press has released Capital Murder: An investigative reporter’s hunt for answers in a collapsing city, Chris Papst’s expose of the recent financial troubles in Harrisburg, Pennsylvania, the state capital. Every city in America is unique. Each has its own instructive tale of success and failure. What makes Harrisburg, Pennsylvania’s story most valuable lies not in its life but in its death – and in the actions of those who killed it. In late 2011, Harrisburg became the first – and only – capital city in American history to file for bankruptcy. For four years, investigative reporter Chris Papst provided award-winning coverage of this unprecedented financial collapse. Now, he has authored a book sharing his experiences while detailing what went wrong. In two-and-a-half years, I filed more than 200 reports on Harrisburg’s financial collapse and the hapless residents it affected. Nearly every day something news-worthy happened—and little of it good. Yet, despite my built-in safeguards, the abhorrent nature of Harrisburg’s demise eventually wore on my psyche. After hundreds of depressing reports, day-after-day, I started to break. This was where I worked. This was my home state’s capital city. I had friends who lived and raised families here. I wanted Harrisburg to win. But it seemed impossible. People were made massively wealthy issuing the bond deals that capsized Harrisburg. But every day at 4:00, I watched as the protagonists whoallowed it to happen hopped in their foreign sports sedans and fled town. They left behind a broke and broken city, and not one person was heldaccountable. No arrests. No charges.No indictments. No restitution. The city was financially dead, but apparently no one killed it. 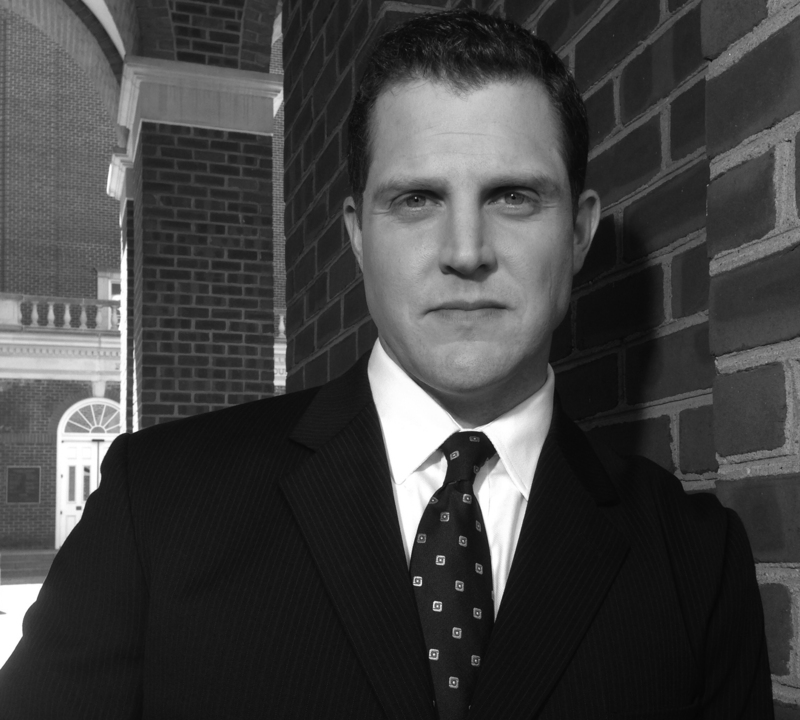 Chris Papst is a multiple Emmy-award winning investigative reporter whose work has initiated changes in law and sparked criminal investigations. He currently works at ABC 7/WJLA in Washington, DC. 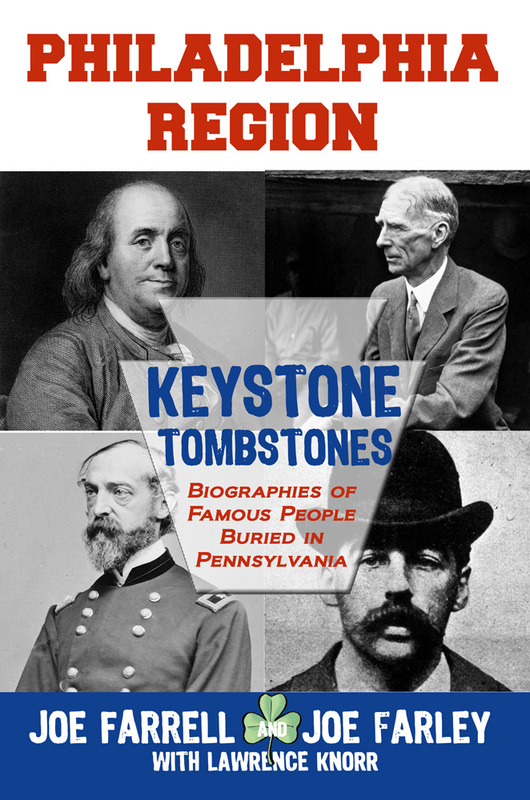 PHILADELPHIA — Sunbury Press has released Keystone Tombstones Philadelphia Region by Joe Farrell and Joe Farley. 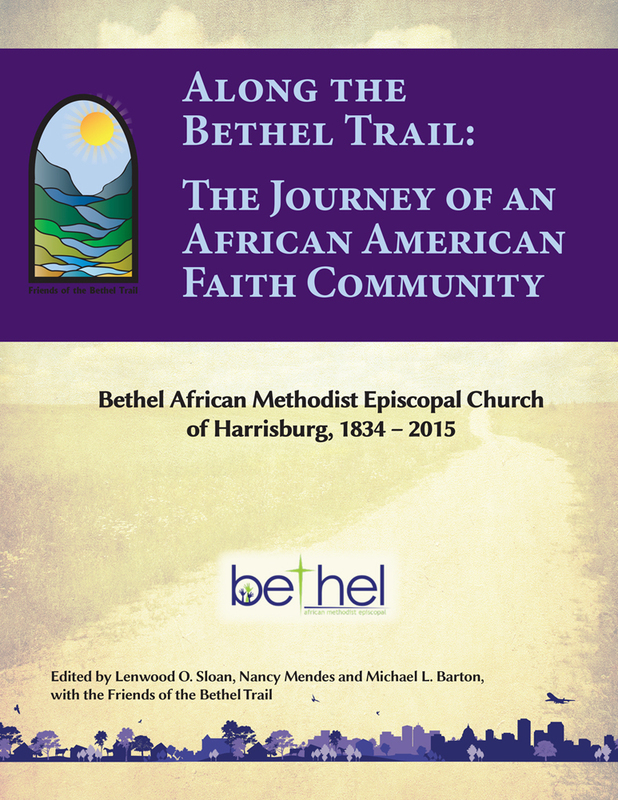 HARRISBURG, Pa. — Sunbury Press has released Along the Bethel Trail: The Journey of an African American Faith Community presented by Friends of the Bethel Trail. Throughout its history, the Bethel African Methodist Episcopal Church of Harrisburg has been a critical link in the chain of places, people, and events that bind and strengthen Pennsylvania’s quest for equity, parity, and social justice. Along the Bethel Trail is an anthology of articles by area authors, scholars and humanists that guides readers through the history of this resilient congregation in relationship to the legacy and impact on the community that it serves. Each contributing author writes of a specific historical period and geographic site where the church was located. From that vantage point, the authors explore the social and civic engagement of the congregation and its leadership in time and place, as the church and surrounding communities were continuously uprooted to make room for the expanding state capitol complex. Together their articles frame the impact of the church and congregation on the development of Harrisburg’s diverse community. The combined articles also articulate the struggle of Harrisburg’s African-American community for economic development, sustainability, and a sense of place over the past 180 years. The anthology of articles supports the eight paneled interpretive signage and self-guided experience along Harrisburg’s Bethel Trail. Discover the location of Bethel’s first church at the current Amtrak station, key 19thcentury sites at Harrisburg’s Forum, Fountain, and Justice buildings along Commonwealth Ave, its 20th century site at 6th and Herr and Bethel’s current 21st century home in midtowns at 1721 N.5th street. 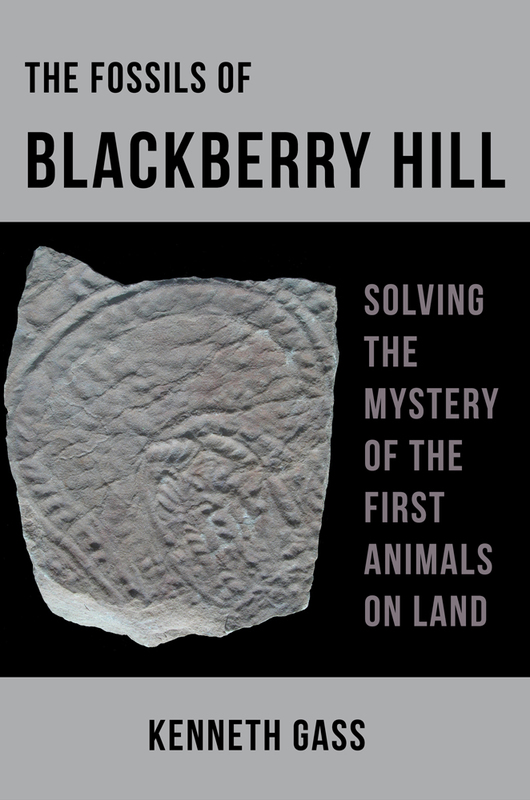 WAUSAU, Wis. — Sunbury Press has released The Fossils of Blackberry Hill: Solving the Mystery of the First Animals on Land, by Kenneth Gass. The Fossils of Blackberry Hill: Solving the Mystery of the First Animals on Land is the first book to cover the unique group of rock outcrops in Central Wisconsin that appears to have put an end to a one-hundred-fifty-year-old mystery of global interest. Since the mid-eighteen-hundreds, fossilized footprints and trackways have been found on beach deposits in what is now North America that dated back to the Cambrian Period, some five hundred million years ago – but fossils of the animals that made them avoided detection all that time. Thanks to Blackberry Hill, the identity of some of the first animals to walk on land is a secret no more. Numerous color photographs of spectacularly preserved tidal flat trackways, animals, and parts of the habitat itself, all frozen in stone, help to tell the story of some of the first animals to explore this strange, new environment. Current interpretations made possible by the fossil discoveries are presented, including how some of the trackways were made and what might have lured the animals ashore. Peculiar, winding trackways from giant, slug-like organisms and other boneless animals are shown covering entire surfaces. This book also shows other surprises revealed at Blackberry Hill, including body and trace fossils of another tidal flat dweller never before found in rocks as old as these, and the first occurrence to show that large jellyfish were abundant in Cambrian times and were already subject to mass strandings. 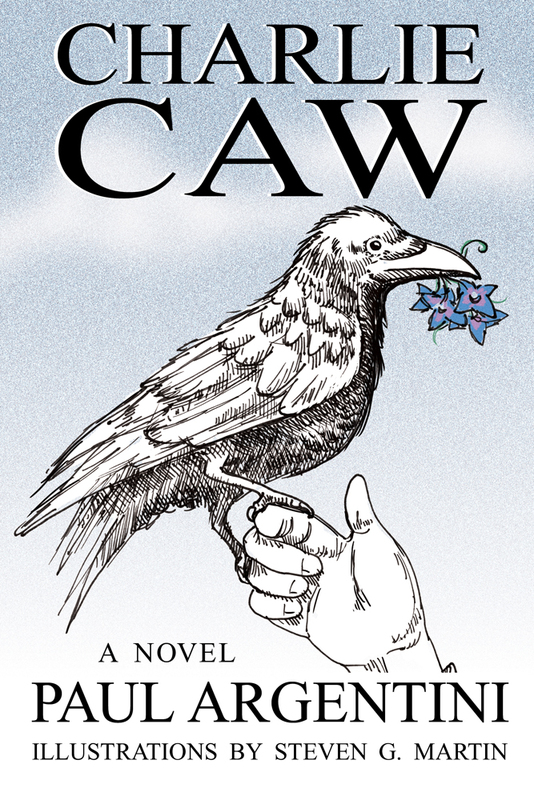 In this book, Kenneth Gass thus demonstrates why Blackberry Hill holds its special place in the history of life on Earth. Kenneth Gass, known as Chris to his family and friends, has a degree in Geological Sciences from the University of Wisconsin – Milwaukee. 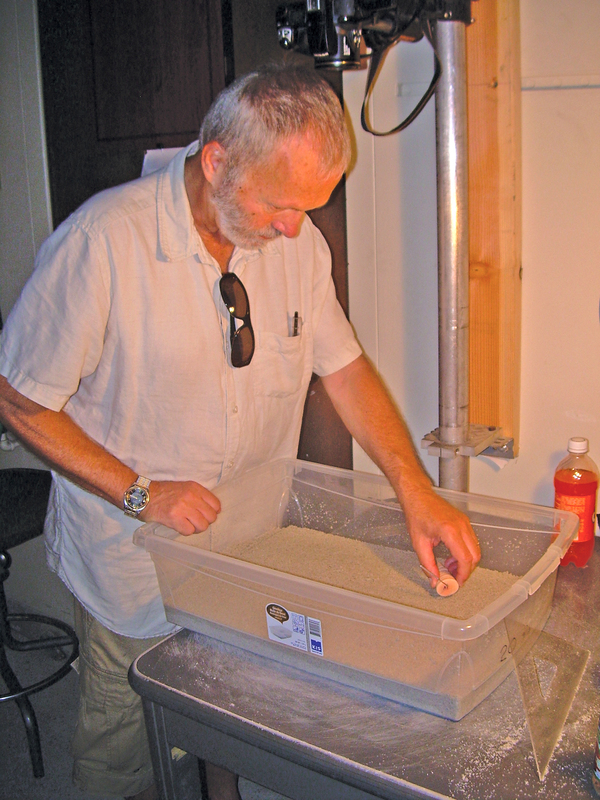 He has published in peer-reviewed journals and magazines, and he is content contributor to the Paleontology Portal and Paleobiology Database. Gass has also written books on subjects ranging from paleontology to procedures. One of his works relating to discoveries at Blackberry Hill received Honorable Mention for Best Paper Award. Chris and his wife, Lauri, live in Wisconsin Rapids with their two dogs, not far from their six children and eleven grandchildren. 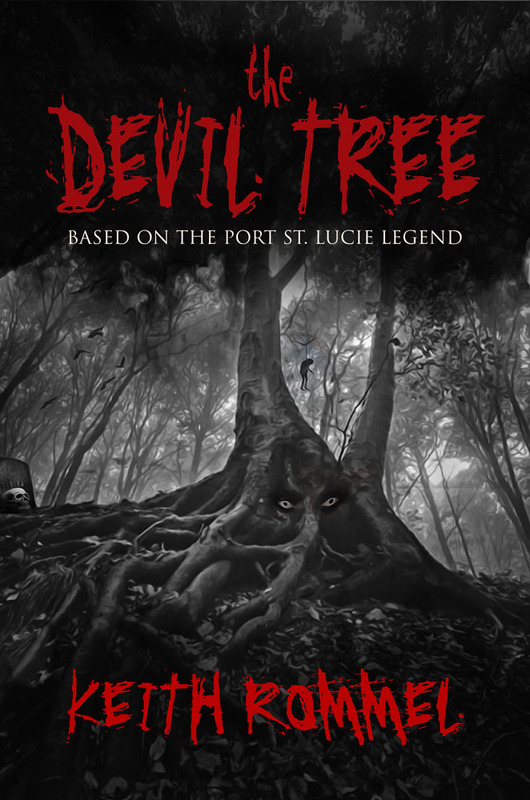 PORT ST. LUCIE, Fla. — Keith Rommel’s latest novel, The Devil Tree, based on the Port St. Lucie, Florida legend is now available for pre-order on the Kindle platform. Back in the 1970s, a series of bizarre incidents occurred at what has since been known as “The Devil Tree.” Beneath this ancient denizen, evil was wrought by a sick serial killer, calling upon forces most evil and dark. People were hung there … and bodies buried there … exhumed by the police. Overcome by superstition, some tried to cut down the tree, to no avail. Since then, it has stood in a remote section of a local park — left to its own devices — quiet in its eerie repose — until now! The big oak tree had crooked limbs that reached for the sky and a trunk over twenty feet in circumference. The thick canopy above blocked the midday sun, making the air seem ten degrees cooler than the scorching ninety-degree heat beating down from the hot Florida rays. Port Saint Lucie was a quiet town and seemed to be a world within its own. Dirt roads and cheap housing had the allure to invite northern folks in hopes of escaping the bustle of city life, high costs of living, and the brutal cold winters that took their toll on the mind, body, and spirit. For Marion, so far the change of pace was nothing short of perfect. The house she lived in was beautiful, her neighbors were pleasant; the air seemed cleaner and the sky a different kind of blue. Looking at the ground surrounding the oak tree, she thought it the ideal spot to have a picnic with her two children, Bobby and Judy. She had Bobby carry the white and red checkered sheet, which was folded into a neat and manageable square. Judy helped by carrying the wicker picnic basket but struggled with the weight. Neither her mother or her brother offered to help her because she insisted she could do it and didn’t want help from anyone. Headstrong and full of temper, she was a handful. Marion fiddled with a transistor radio and tried to get a clear signal so they could listen to music while they spent some quality family time on this perfect day out. “Right here,” Marion said to Bobby, pointing at the flat ground underneath the giant oak. She mopped the sweat from her brow and looked up the hulking trunk and into the intricate weave of branches that was marvelous to the eyes. Spanish moss hung down, and if it wasn’t daytime the oak might have left the impression of a creepy Halloween prop. Bobby placed the blanket down and did a fine job of getting all the wrinkles out of it. Marion assisted Judy in placing the basket down on the corner of the blanket, and although she didn’t say so, Marion thought she was thankful for the assistance. She kicked off her shoes and stepped onto the squares and sat cross-legged. The ground was soft enough, and a coolness from the soil seeped up through the blanket, adding to the relief of being out of the direct sunlight. The kids did as they were told and Marion looked around, admiring the spot she had chosen. It was the first time she had been to this particular part of town and was glad she’d come across it. She had seen a couple of fishermen on her way in, tugging on the invisible lines they had cast and drinking Blue Ribbon beer. The men had looked over their shoulders at the sound of her car, but she had pulled far enough into the oversized lot that she couldn’t see them from her space. The water in the canal looked clean enough to cool their feet if they needed, and the flow of water was slow enough that it posed little to no threat of sweeping them away. But she would decide whether or not they would go into the canal after the children had eaten and if they behaved well enough. Bobby and Judy sat on the blanket, their legs folded Indian-style just like their mother. Bobby’s face lit up as he admired the giant oak and the things that dangled over him. Marion thought about it. There was no question the tree was strong enough to hold him. But the sharp angles of the branches and clumps of Spanish moss made her nervous. She’d heard something about there being chiggers in moss. Despite the warm weather, she shivered just thinking about those nasty biting mites. Static filled the Zenith 500 transistor radio, and Marion fiddled with the small dial, delicately turning it until the tuning was sharp. The Beatles came back to life and she couldn’t help but sing along in an emotional whisper. She opened the basket and handed Bobby and Judy their bologna sandwiches, which were cut into fours. The children placed them into their laps and ate neatly and with manners. “How did you find this place, Mom? It’s really neat,” Bobby said and was unable to keep his eyes out of the canopy. The tree seemed to invite him up the hefty trunk and into the tangle of branches. The vantage point from up there must be spectacular, he thought, and he bit into his sandwich with an ailing whine in an attempt to sway his mother’s thinking. Marion ignored him and continued to take in her surroundings. Their 1966 Studebaker Wagonaire was parked about thirty yards away, cooking in the midday heat. She grabbed her own sandwich and unfolded the foil. As she sat there, taking tiny bites, a sudden chill rocked her body. The cold that came up through the ground and the shade of the giant oak maybe took away too much of the warmth, she decided. Marion looked at her children with the flesh goosed on her arms. 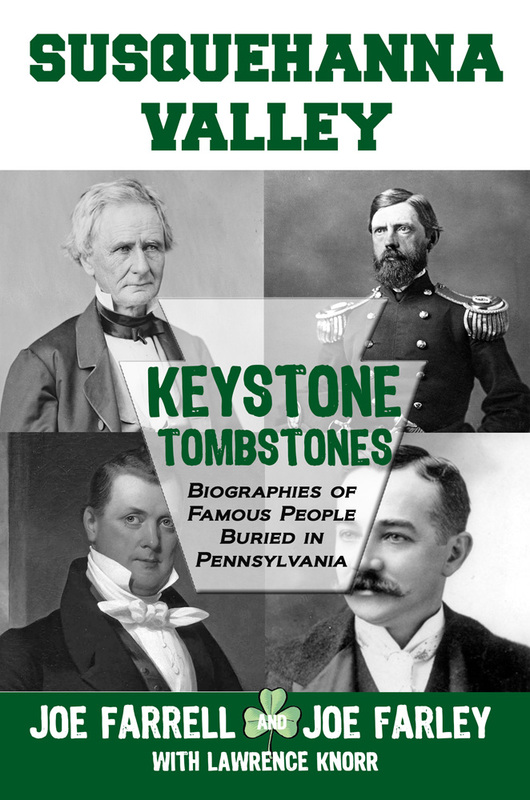 HARRISBURG, Pa. — Sunbury Press has released Keystone Tombstones Susquehanna Valley by Joe Farrell and Joe Farley.